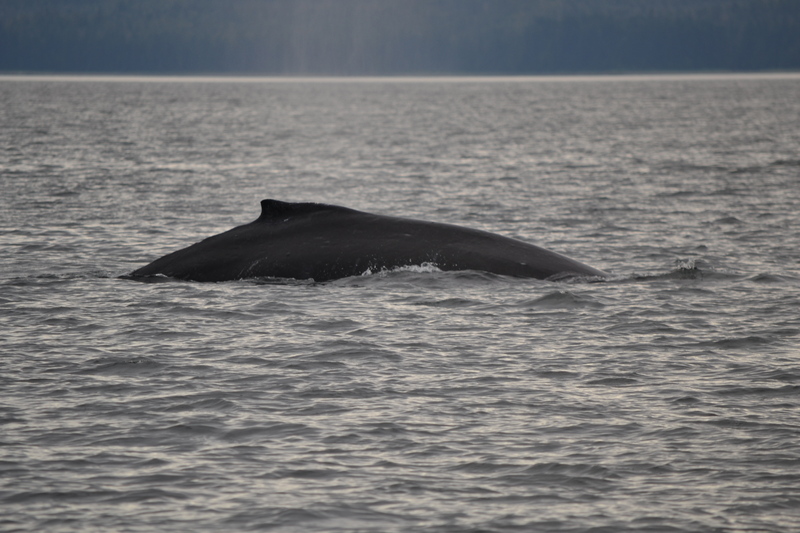 We met with a large pod of humpback whales near Entrance Island and they came quite close to our stopped boat as we were trying to keep some distance. They are not afraid of us at all and very curious. 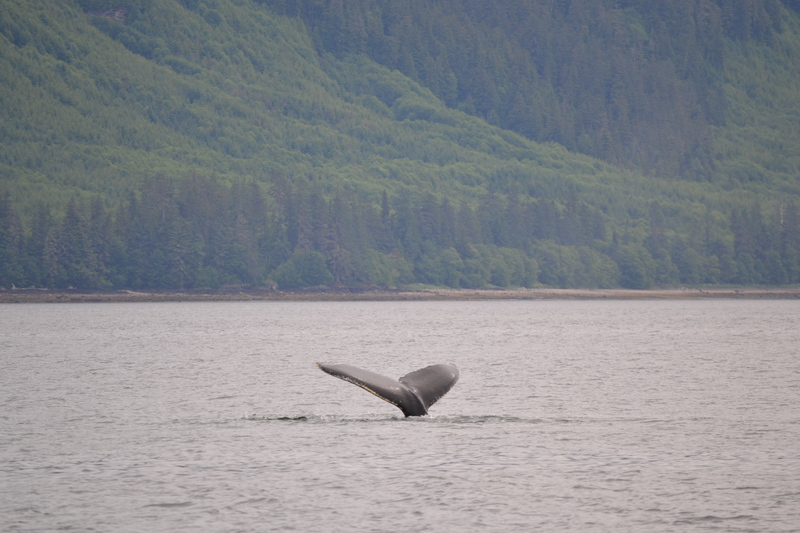 They were feeding on the way to Glacier Bay. 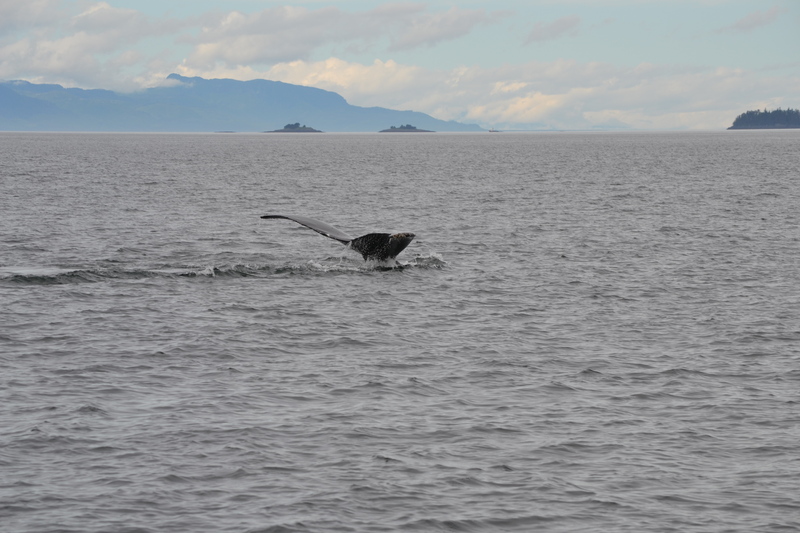 We got a number of pictures with a grey overcast background but the whales gave us a great show. 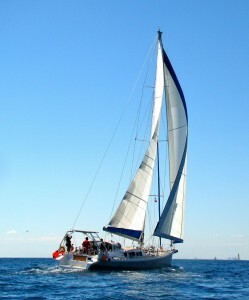 Soon after that we saw our first iceberg in Stephens Passage and soon many many more as we entered Endicott Arm. 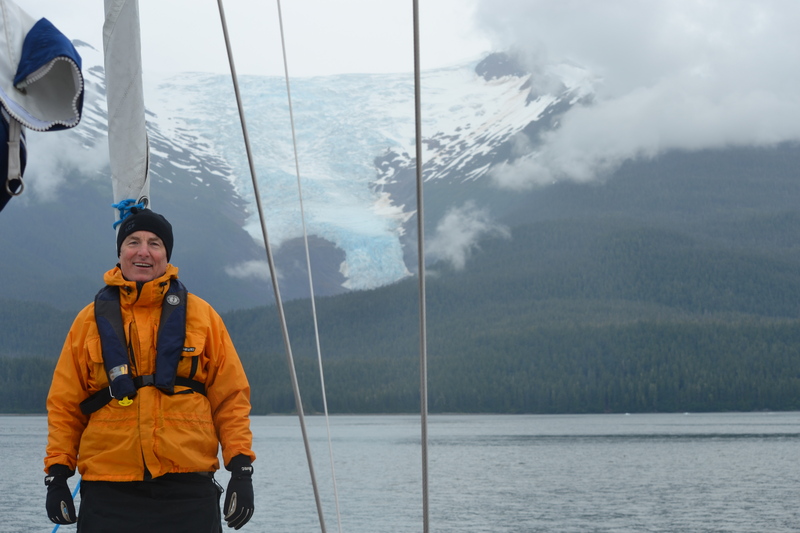 We went as far as the Sumdum Glacier close to Sumdum Island but had to retreat to our anchorage as the fog was coming down fast and the rain was quite hard. The icebergs are very blue and the water is a very deep green. Maybe the sun would come out and we could take pictures. 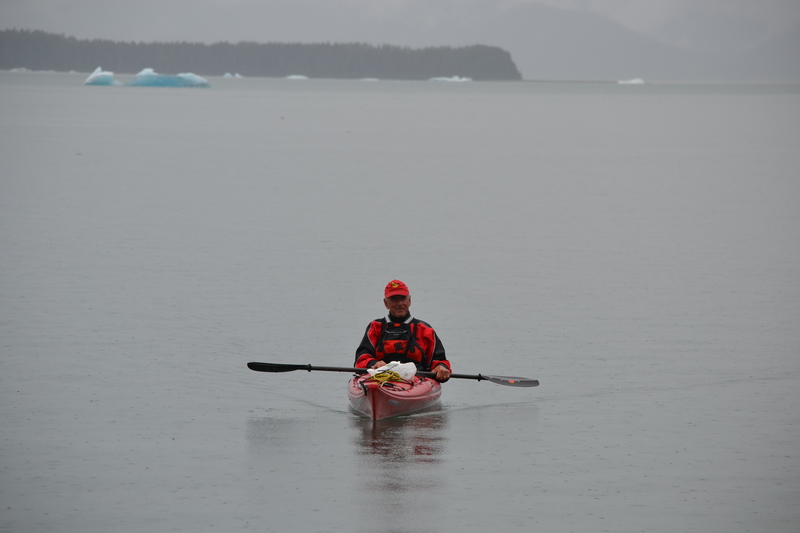 But for now we are swinging gently at anchor listening to the rain while Dunnery is on an errand in his kayak to fetch ice from a berg for the Scotch on the rocks. 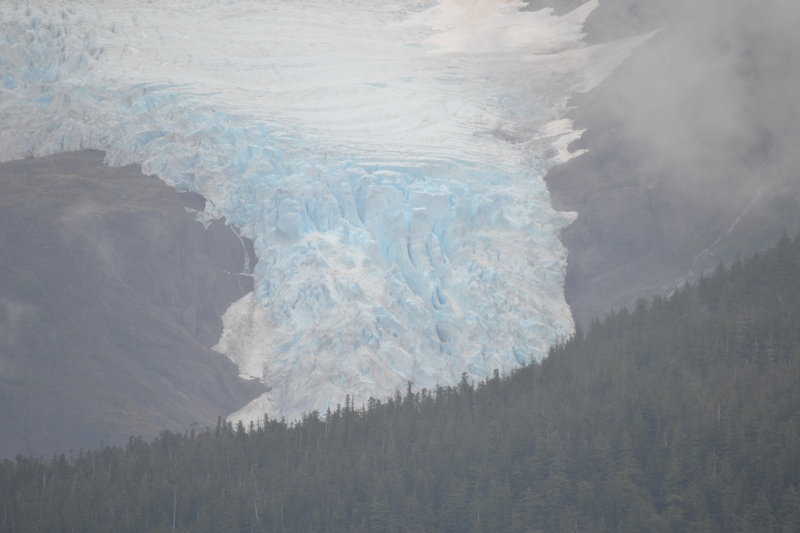 This entry was posted in The Log and tagged alaska, Endicott Arm, Inside passage, sailing, Sumdum Glacier. Bookmark the permalink.